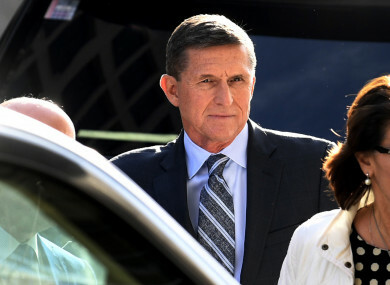 ROBERT MUELLER HAS recommended that President Donald Trump’s former national security advisor Michael Flynn should face no jail time due to his “substantial” cooperation with the ongoing Russia investigation. The special prosecutor in charge of the probe into Russia election meddling probe said in a court filing that Flynn had helped in his and other unspecified federal criminal investigations. Flynn admitted to lying about his contacts with Russians last year, following Trump’s November 2016 election victory and has been interviewed 19 times. The surprise recommendation came ahead of Flynn’s upcoming sentencing, which has been postponed four times over the past year. Those postponements indicated that Flynn, who was once hostile to the investigation that threatens Trump and his inner circle, had possibly become a valuable witness. “Given the defendant’s substantial assistance and other considerations set forth below, a sentence at the low end of the guideline range – including a sentence that does not impose a term of incarceration – is appropriate and warranted,” Mueller said in a memorandum to the court. In an interview with investigators on 24 January, 2017, four days after Trump’s inauguration, Flynn lied about conversations he had the previous December with Russia’s ambassador to the US, Sergei Kislyak. At the time, Obama was planning sanctions on Russia for its interference in the 2016 election. Flynn urged the Russians not to retaliate, suggesting Trump would reverse the sanctions. In another surprise last week, Trump’s former personal lawyer Michael Cohen admitted that through the first half of 2016, even after Trump had secured the Republican nomination for president, he had top-level contacts with Moscow over a project to build a potentially 100-story Trump Tower in the Russian capital. Email “Former US security advisor Michael Flynn may not go to jail after giving 'substantial' evidence to Russia probe”. Feedback on “Former US security advisor Michael Flynn may not go to jail after giving 'substantial' evidence to Russia probe”.